Dr. Paul T. Finger has collected or discovered the latest and most advanced medical technologies for the diagnosis and treatment of ocular tumors and eye cancer. With great respect for collaboration, he works closely with you, your referring doctor and his associated specialists to provide the most excellent care possible. The New York Eye Cancer Center was designed to be a responsive and caring environment, we strive to be your and your doctor's first choice for eye cancer care. Dr. Finger is the Director of Ocular Tumor Services at the Manhattan Eye, Ear and Throat Hospital and teaches residents from the New York University School of Medicine. A world-recognized expert in radiation and surgical techniques to conserve the eye and vision; Dr. Finger has pioneered the use of palladium-103 plaque radiation for choroidal melanoma, 3D and high-frequency ultrasound to image intraocular tumors, and created this world-renowned web site. Dr. Finger publishes in the major clinical journals and lectures frequently at local, national and international meetings. He graduated from Tulane Medical School, the Manhattan Eye, Ear and Throat Hospital, and then completed specialty training in treatment of ocular tumors and orbital diseases. 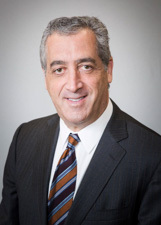 Dr. Finger is certified by the American Board of Ophthalmology and is a Fellow of both the American College of Surgeons and the American Academy of Ophthalmology and sees patients from all over the world. Dr Finger was a principal investigator for The Collaborative Ocular Melanoma Study. He Chaired the Ophthalmic Oncology Task Force that wrote the 2014 consensus guidelines for plaque radiationt therapy of choroidal melanoma and retinoblastoma for The American Brachytherapy Society. Dr. Finger was the clinical director for the Plaque Radiation Therapy (Task Group 129) of the American Association for Physicists in Medicine (AAPM). Dr. Finger is Chair of the Ophthalmic Oncology Task Group of The American Joint Committee on Cancer (AJCC) - International Union Against Cancer (UICC). The AJCC-UICC has created a universal language (TNM-classification) commonly used around the world to describe eye cancer. Dr. Finger has a particular interest in melanoma of the choroid, ciliary body and iris. He has written extensively about new ways to detect and treat retinoblastoma, conjunctival melanoma, squamous carcinoma, metastatic cancer to the eye and orbital tumors. Dr. Finger has assembled a team to care for patients with eye tumors. By picking the best doctors from several institutions, his team includes the top radiation, medical and pediatric oncologists from several institutions in New York City.